Banquet space is newly renovated with very modern look and will hold up to 130 people. There are multiple packages along with food available at Athidhi Indian cuisine. 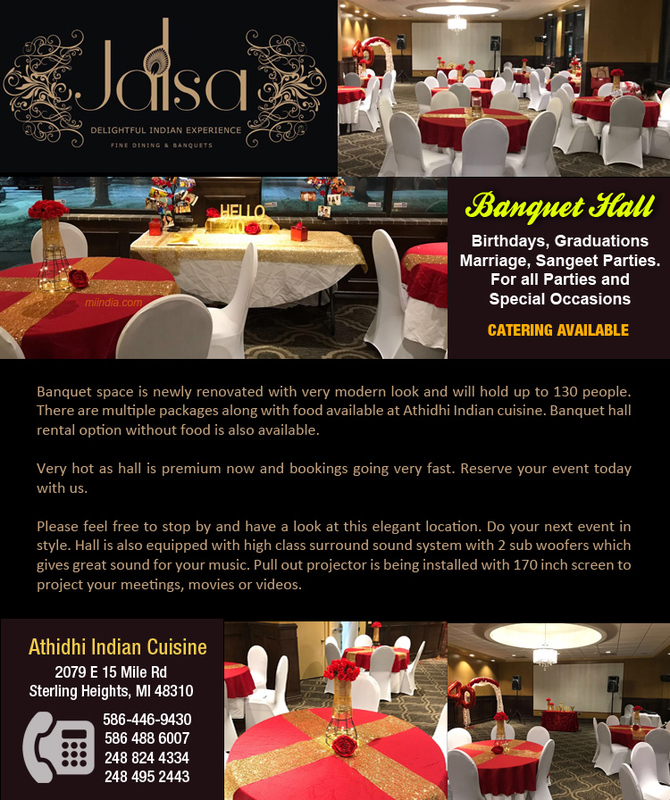 Banquet hall rental option without food is also available. Very hot as hall is premium now and bookings going very fast. Reserve your event today with us. Please feel free to stop by and have a look at this elegant location. Do your next event in style. Hall is also equipped with high class surround sound system with 2 sub woofers which gives great sound for your music. Pull out projector is being installed with 170 inch screen to project your meetings, movies or videos.